Famously, the way to a person's heart is through their stomach. 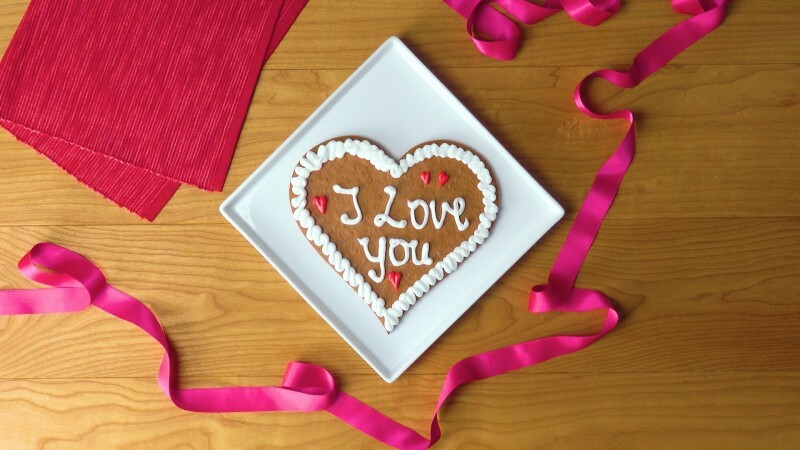 With this in mind, there's no better Valentine's gift than to give your partner a culinary love token — like one of these adorable baked creations. We haven't listed the most important ingredient, it almost goes without saying, but all three recipes should be baked with a whole lotta love. First prepare the red cake batter. Beat the eggs and sugar together with an electric whisk. Add the butter, flour, baking powder, vanilla flavoring and red food coloring and mix it all together. Transfer the batter to a greased loaf pan, smooth it flat and bake it a pre-heated oven, with heat from above and below, for 50 minutes at 340°F. Let it cool down completely. Next, cut the red cake into slices and cut these into hearts with a heart-shaped cookie cutter. Prepare the chocolate batter. Again, beat the eggs and sugar together with an electric whisk. Then add the butter, flour, baking powder and vanilla flavoring in the same way, then add the cocoa powder and mix it all together. 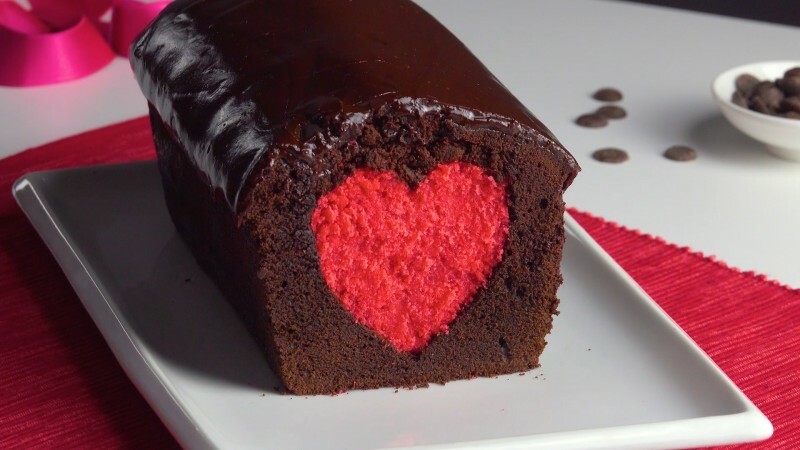 Put half the batter in a loaf pan and then stand the red cake hearts upright in it in a line down the center. Fill the pan with the rest of the cake mix and smooth it flat on top. Bake the cake for 50 minutes at 340°F in a pre-heated oven, with heat coming from above and below. Once it's done, let it cool completely. Make the chocolate frosting by finely chopping the dark chocolate and letting it melt in warm cream. Let it cool a little before pouring it over the cake. Then stand the cake in the fridge for half an hour before serving. Put the flour, cocoa powder, egg, baking powder, gingerbread spices in a bowl, along with a pinch of salt. Heat the butter, sugar and honey in a pan. Add the contents of the pan to the other ingredients in the bowl. Knead it all together and then leave the dough to rest for four hours. Roll out the dough so it's a little under a ¼ inch thick and cut it into a heart shape. You can either do this by hand or with the help of a printed out template. Next, bake the heart in a pre-heated oven, with the top and bottom heat on, for 10 minutes at 320°F, then let it cool down completely. Decorate the heart cookie with icing, made by mixing the egg white, icing sugar and lemon juice. Maybe add a little food coloring into the mix after a while, to make the heart more colorful. Knead the flour, butter, sugar and the egg into a dough and chill it for half an hour. Roll the dough out and use a heart-shaped cookie cutter to cut out an even number of heart shapes. Place a lollipop stick on every second heart and cover the end with a blob of Nutella. Place a second heart on top and press both halves of the dough together round the edges with a fork. 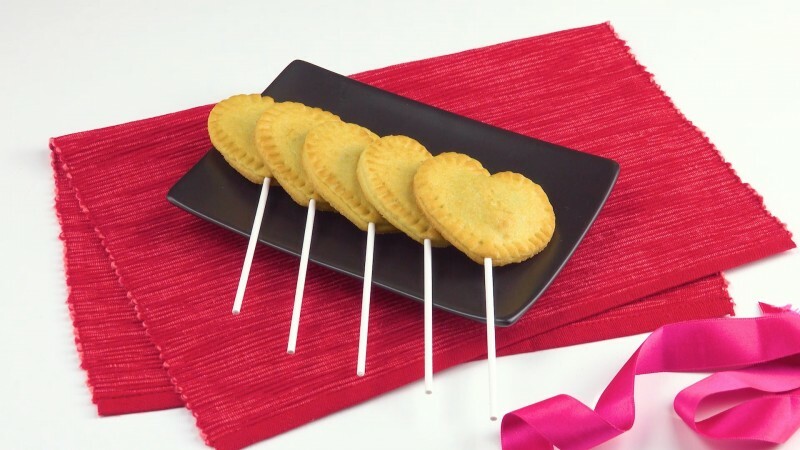 Bake your little pastries on their sticks for 15 minutes at 360°F in an oven with heat from above and below.